When I say the worst, I say not in terms of aesthetics, but it is in terms of return of investment. After all, while a new bathroom or a better roof can certainly make your house more pleasant for you to look at, most realtors will not consider much because most potential buyers will not share the same sentiments as you do about your house. Yes, it is true that only a few, if there are, home renovation projects out there that offer 100% return on investment, fact is, knowing which ones offer better ROIs help you get to know which home renovation projects to invest your money in. That said, you might want to look at the five listed below as the worst home renovation projects ever and why they are so. Yes, house-hunters and potential buyers will comment on how economical your home office is and how elaborate you made it. However, it is a known fact that a home-office is more of a personal preference and the next buyer will easily want to rip it out and convert it to another room. Besides, most realtors will not consider how much your home office cost you when making an assessment, making it an investment that only becomes necessary if you really have to work at home. We all know how a sunroom is a nice thing to have. However, much as if a home office is, it is more of a personal preference than a must-have. Sure, we all love to sleep in luxury and in style. However, you may also want to keep in mind that turning your bedroom into one that has its own customer bookcases, spa-style bathrooms, walk-in closet, bar, refrigerator, etc, will certainly not look as appealing to other potential buyers. If you really want to do this, you may want to consider if and ever you plan on living in the house for decades first as its resale value may not change much after you turn your master bedroom into a suite. Sure, a back-up power generator will certainly pique the interest of plenty of people. However, you may also want to remember that it won’t have as much of an impact on the house’s market value than on your savings. At a price of $11,400 and even more, most people would certainly want to pass on it for cheaper alternatives, of which have been on a rise over the past few years. Sure, you love your garage, and even your car. However, updating it and turning it into a more technologically advanced one without even considering if you will live in it for decades or even years will likely result into a waste of money and an investment that you will heavily regret later on in your life. If you plan to invest in a home improvement project, make sure to contact only the right professional contractors to do the job for you. 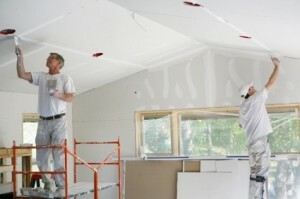 Visit SCRMelbourne.com.au to know more about SCR Melbourne, the contractors who will ensure nothing but only the best for you. Be the first to comment on "Five of the Worst Home Renovation Projects Ever"